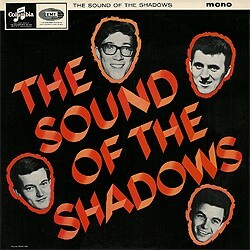 The Shadows were really motoring by the time The Sound Of The Shadows album came out in July 1965, and ‘Deep Purple’ is one of the standards given an effective makeover by them: punchy, vibrant, definitely get-up-and-go. 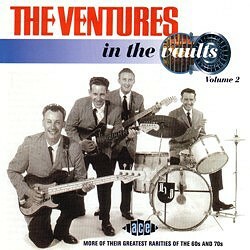 The Ventures had recorded a version of this great melody in June 1961 but it was set aside, appearing on the above CD masterminded by Dave Burke and Alan Taylor. The approach here is refreshingly different, in ‘Sleepwalk’ territory rather, with that trademark sharply-etched sound to the lead, the melody firmly holding the attention despite the fact that neither rhythm nor drums are exactly in the background feature category.